Porsche car owners always want to make sure they enjoy the luxury and comfort brought by these luxury vehicles. With this in mind, we at Manhattan Motorcars have committed ourselves to provide car buyers in Greenwich Village with this privilege. We have both new and used Porsche cars in our showroom plus we also extend our services to those looking for someone to repair their Porsche automobiles. To serve your needs best, we have also stocked our inventory with genuine Porsche parts. 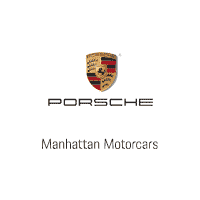 Experience what it is like to be served by the best in the industry by visiting us at Manhattan Motorcars today. Located at the New York City’s Lower Manhattan, Greenwich Village is often referred to by its residents as The Village. It has been popular as the Bohemian capital and is also known as the artists’ haven. Currently, it is the home to the modern LGBT movement. Through the years, the neighborhood underwent massive commercialization.